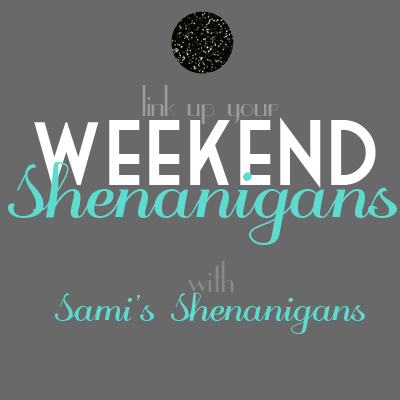 It's Monday again, which means it's time for my Weekend Wrap Up! Let's take a look at what went on this week- on & off the blog. 1. We went to the fair! The kids ate some huge hotdogs. 2. Lily was pretty happy about three flavors of cotton candy. 3. We saw a cat judging contest. 4. The kids kept leaving these Lego Harry Potter spiders out, scaring me over and over. 5. Lily drew a really awesome picture of me. 6. 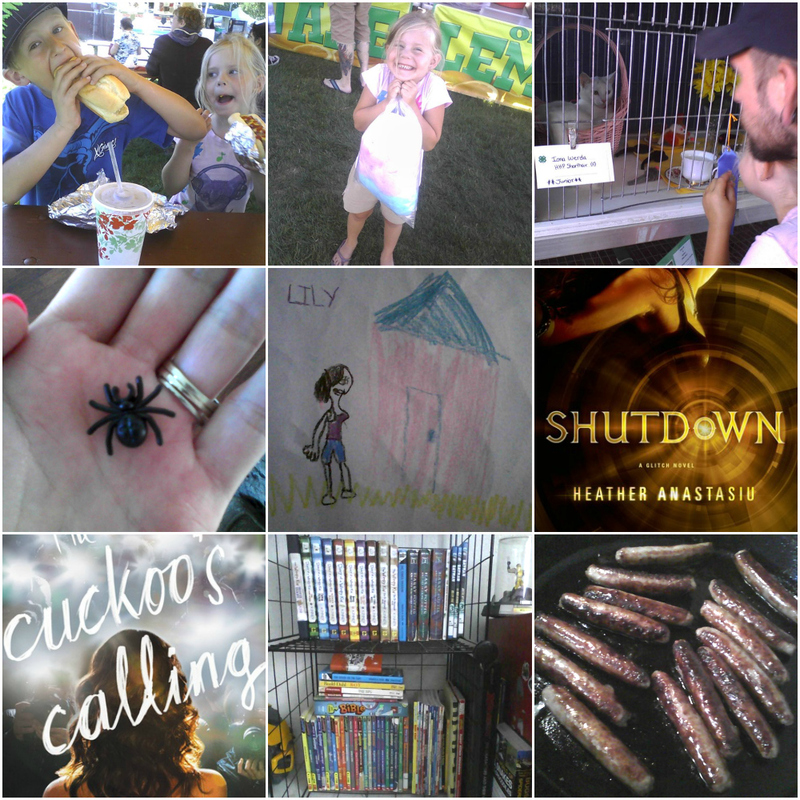 I read a good book- Shutdown by Heather Anastasiu. 7. And I read this one written by J.K. Rowling under a pen name. It was so good! 8. Ayden's book collection is growing and he needs some real book shelves. 9. Sometimes you just need some sausage for breakfast on a Sunday. I talked about my awesome Blog BFFs and how they cheered me up. And I shared one of my first memorable mommy moments with Ayden. I love the picture Lily drew of you, so sweet!